GillianRoseLibrary is a Legacy Library. Legacy libraries are the personal libraries of famous readers, entered by LibraryThing members from the Legacy Libraries group. » Gillian Rose's legacy profile. GillianRoseLibrary is also an author. » See Gillian Rose's author page. About meKeep your mind in hell, and despair not. 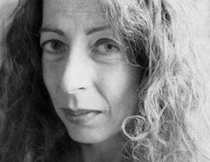 Gillian Rosemary Rose (née Stone; 20 September 1947 – 9 December 1995) was a British scholar who worked in the fields of philosophy and sociology. Notable facets of this social philosopher's work include criticism of neo-Kantianism and post-modernism, along with what has been described as "a forceful defence of Hegel's speculative thought." (from Wikipedia). About my libraryGillian Rose left her library to the University of Warwick Modern Records Centre. Many thanks to Helen Ford at the MRC for her assistance. The data here was imported from the Warwick Library catalogue http://webcat.warwick.ac.uk/. The tags are intended to give the casual browser an overview of the library. They are a work in progress and of necessity approximate. Please mention any egregious errors or inconsistencies in the comments below.